Even though this space wall mural was painted in Burlington, Ontario, I also sell space themed wallpaper murals that ship for FREE in Canada and the USA. They are super easy to hang and totally removable when you’re ready to redecorate. 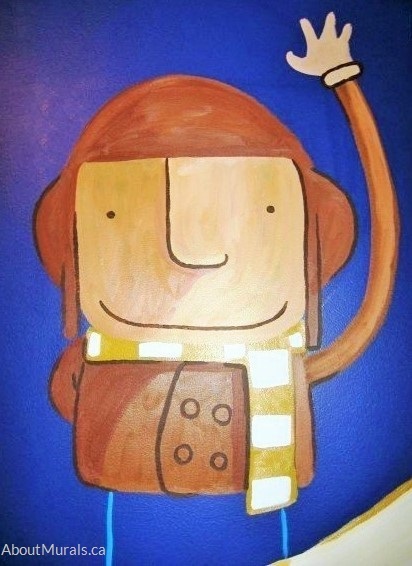 Request a Quote on a Hand-Painted Mural! 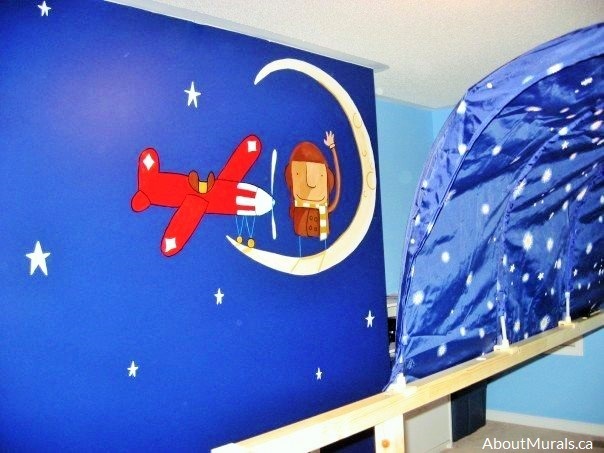 Thinking of adding a space wall mural to your kids bedroom? Here are some pics of a mural I painted to give you some ideas for your own room. Toddler, Ben, loves to read and his fave books are “How to Catch a Star” and “The Way Back Home” by Oliver Jeffers. I used the books as inspiration to create this space wall mural for him. Ben’s dad, Jeff, painted the bedroom in navy blue before I came to create the mural. If you’re not the DIY type, I also offer wall painting services. I only use non-toxic acrylic paint and no-VOC latex paint in all my work, so it’s safe for your kids to play and sleep in their bedrooms – even on the night I finish painting. All of my wallpaper murals are eco-friendly, too. The pilot, standing on the moon, is painted on a wall directly across from Ben’s bed. 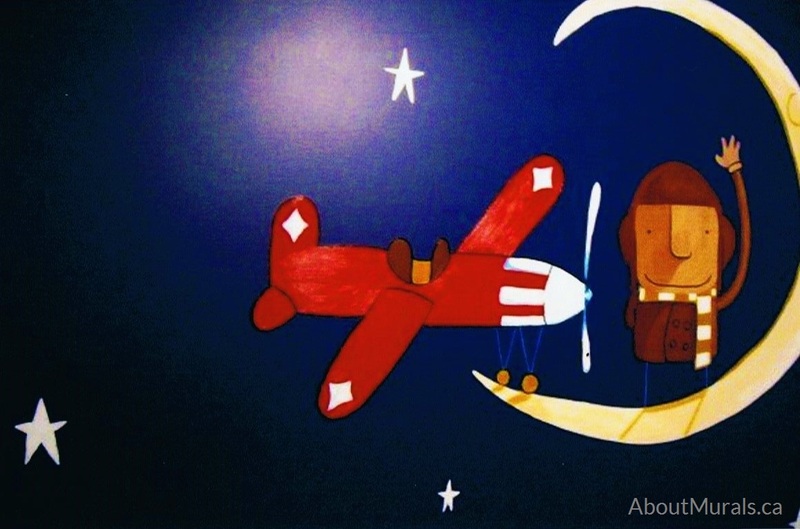 He waves to him every night, surrounded by stars, before bed – so fun! Like My Space Wall Mural? Hire Me! Still thinking of a space wall mural and like my style? Let’s work together! Or…Check Out My Space Wallpaper Murals! Join my newsletter community and I’ll send you all the latest promotions…and maybe even a hot coupon code or two!